Thanks for filling in the lacking details. That does sound a quite a bit more comprehensive. I do think that keeping the ticketing levels in the central corridor makes the most sense. I think that putting Terminal D on the north side was a mistake and IAH has been struggling with that decision ever since. Terminal D never even seemed as though it was part of the same airport. Some renders of the new Terminal Concept in this article. Reminds me of Terminal 5 at Heathrow. What’s the latest on this redevelopment? Is there a timeline to break ground? There was a presentation to a council committee last month. Apparently, the first step is, again, the demolition of old C North. The timing indication was that the old C North demolition might be underway next year this time. I believe some of the enabling projects are already underway? The other interesting item from the presentation was that Terminal A is "bursting at the seams", with multiple airlines wanting additional gates in the terminal. One airline wants 6 gates; United has asked for 4 gates; 2 other airlines want at least 2 gates. United can F right off. They are only using the gates in A to block growth of other airlines. They don't even offer baggage claim or check-in services in A! Landed at IAH on American from LAX. We had to wait for 25 minutes because the AA gates were full. Why is United to blame for Americans operational issues? Because they are hoarding gates in terminal A in order to keep other airlines out. Theres no room in A for any other airline to expand services. It's likely why we don't see American serve JFk or Delta service to LAX or SEA. United doesn't need space in A. They just want space in A to stifle competition. And sure, technically it's AA's fault that there were weather delays causing chaos yesterday but if they had more gates, it wouldn't have been an issue. It's not that complicated. Go stand in the parking garage that overlooks terminal A from the roof. Watch and see how often United actually utilizes Terminal A for operations. They're squatting. The last thing United wants is for Spirit, American, and Delta (the likely airlines wanting more space) to have larger operations at IAH. A 6 gate expansion for say, Spirit, would mean a potential tripling of service beyond the major markets they already serve (FLL, LAX, LAS, GUA, SAP, SAL, SJD, DEN, ORD, MSY, ATL, BWI, etc...). Even a two gate expansion for an airline like Delta could mean a third carrier on a route to SEA, a fourth to LAX, and opening operations to their growing hub at JFK. Houston Airport Systems knows who butters their bread at IAH. And I believe that UA has a long-term lease on their "three" A gates because they paid for the extension of A3 into 8 sub-gates. Although I do think that the smaller gates are only usable by regional jets. And as I mentioned before, United has so few flights at A, that instead of operating a check-in counter, they instruct passengers to take the train to terminal B and check-in their luggage there. Same thing with retrieving luggage on arrivals. You should see how upset some of those customers are. I personally don't think that DL would be knocking down doors to add competing service on heavily-trafficked routes, but they might. Then again, DL is moving IAH-LGA to all Airbus 220 service, which should be quite interesting as it offers quite a bit better experience than the normal A320/737 does (in economy). I'm a big fan of Spirit, and I could see them growing IAH to something like DTW (with a maintenance and pilot base even!) but they've seem to hit a bit of a wall and I don't know where else makes sense for them. MCI didn't work out and I doubt that they would launch intra-Texas service. Maybe Colombia service? SFO/OAK? I don't know! Go stand in the parking garage that overlooks terminal A from the roof. Watch and see how often United actually utilizes Terminal A for operations. So, how many gates does United have in Terminal A and how many flights a day do they operate out of those gates? 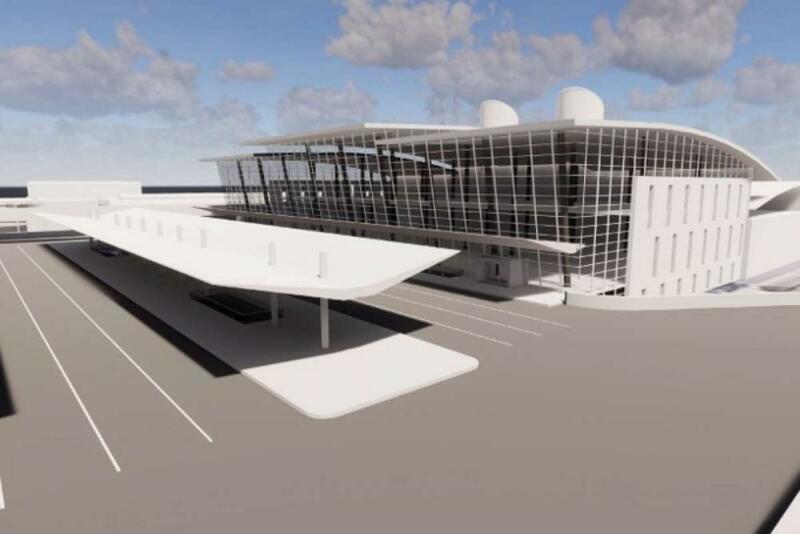 Presentation of Terminal D expansion (slides 19-23) and potential Termainal A modernization (slides 24-31). A lot to process there. But, really interesting. One observation is that with a large Processor at Terminal A (TSA security check point), it seems as though the Processor at Terminal B would be eliminated. Connectors from Terminal A would be constructed to B-North and B-South. Thanks, Yaga! 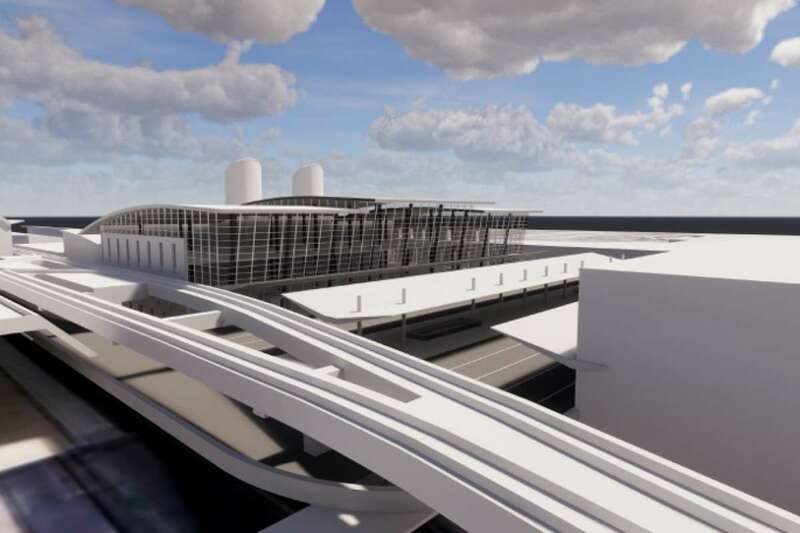 Anybody see the piece KPRC had on last night about the new international terminal? Sounds like Diaz is in hot water with the Mayor. So far $84 million has been spent on the project and there's almost nothing to show for it. When the project was announced back in 2014, the terminal was to cost $700-$900 million. Then it went to $1.2 billion and then ballooned to $1.7 billion. The mayor says the costs have since been brought back down to $1.2 billion but there's still almost nothing to show for the money spent so far. They can't even decide on a design from the architects. Finally, the big body gates, including ones able to handle the A380, have been scaled back from 15 to 13. Those are some of the highlights but it was a good story. Part 2 of it will air tonight. Does anyone know how many daily passengers are projected to use the new international terminal? I don't think I've ever seen that particular projection. The IAH Master Plan 2035 forecast says 13.55 million international enplanements (so presumably about 27 Million total international). Of course that includes United, which, at least currently, uses Terminal E for its international arrivals. In the most recent Fiscal Year, Terminal D handled about 2.8 Million international passengers (out of about 10.4 Million total international passengers). If we assume the same percentage (27%) of international traffic being handled by the new Terminal D, that would be about 7.3 Million annually using the new Terminal D . . . 20,000 per day? I think the better question is why do you ask? Building a new terminal is not going to increase demand overnight. Are you asking for the new Terminal D’s design capacity? The federal regulations you refer to are absolutely toothless, although maybe there will be some real challenges in the industry soon thanks to Spirit, Frontier, and JetBlue. It’s a long time overdue. Airport lease terms? Well I suggest you read the HAS leases and tell me exactly what you’re getting at there. You’re also wrong about the A icehouse, that was completely done by CO and was a long-term exclusive lease. Certainly not at the request of HAS. If it was packaged with leases on other gates that was purely for disingenuous optics (but if so Exhibit A that they worked). Not sure the lease is exclusive anymore as I know AA has used it regularly enough before for the early morning LAX flight (but I don’t think they do anymore). That said AA could very well have paid UA and not HAS directly for access to that gate. The B and C leases are a different matter. But UA is paying full freight for those facilities as well, which is more than you can say for the hub airline at many other large connecting hubs.